The unending headache that is Kumtor continues. This time the conflict is over the mine’s environmental impact. Kumtor has seen its share of trouble over the years. Centerra wholly owns Kumtor and Kyrgyzstan owns a third of Centerra. In early 2013, the Kyrgyz parliament voted to trash the arrangement, but a replacement proposed by Centerra and the government — a 50-50 split of the mine ownership which would also entail Kyrgyzstan giving up its Centerra shares — hasn’t moved much. Meanwhile, some parliamentarians regularly call for nationalization of the mine. Kyrgyzaltyn holds the state’s shares in Centerra. Otorbaev resigned at the end of the month — the fourth Kyrgyz prime minister to do so since 2010. The mine has been at the center of corruption, abuse, and environmental scandals over the years. This round of trouble relates to a slow-moving and previously existing problem: the Davydov Glacier. The Kumtor mine is in the Tian Shan mountains about 220 miles southeast of Bishkek and 50 miles south of Lake Issyk-Kul, near the Chinese border. Centerra fired back in its press release, saying that “project agreements support the view that the Water Code does not apply to the Kumtor operations” and that this year’s mining plan is the same as those that have been approved in the past. The Kyrgyz parliament is considering amendments to the Water Code that would clear the way for Centerra’s permits. 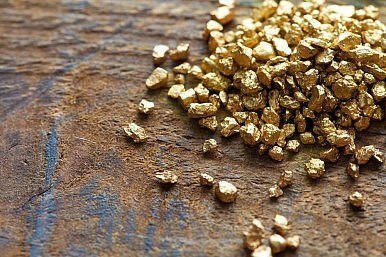 Gold accounts for a full third of all Kyrgyz exports and Kumtor is the country’s biggest deposit. Last year, the European Bank for Reconstruction and Development (EBRD) came under some scrutiny for the implementation of environmental policies and Centerra’s reluctance to release information pertaining to the impact of the mine on the nearby glaciers. A report claimed that Centerra had been operating the mine without a permit for waste disposal until 2012 — and dumping waste onto the glacier. Kyrgyzstan, in comparison to some of its downstream neighbors, has a decent supply of water melting off the mountains, but crumbling Soviet infrastructure, rising downstream thirst, and climate change are setting the entire region up for increasing conflict over the vital resource.